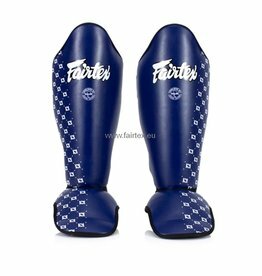 Featuring Fairtex’s stitching-free or “open” system between the shin protector and the foot protector to avoid injuries and discomfort to your feet, which can result from using stitched shin pads. 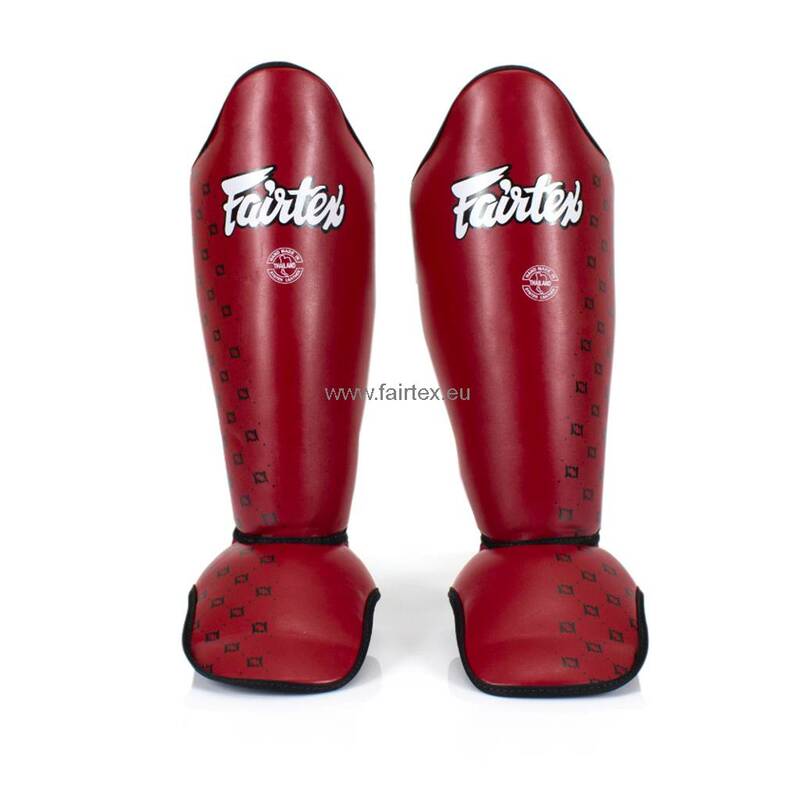 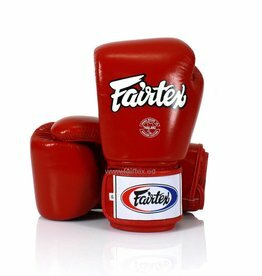 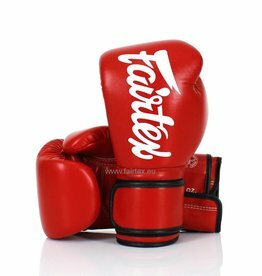 Constructed using Fairtex’s durable “Microfiber” with double layers of high impact foam core. 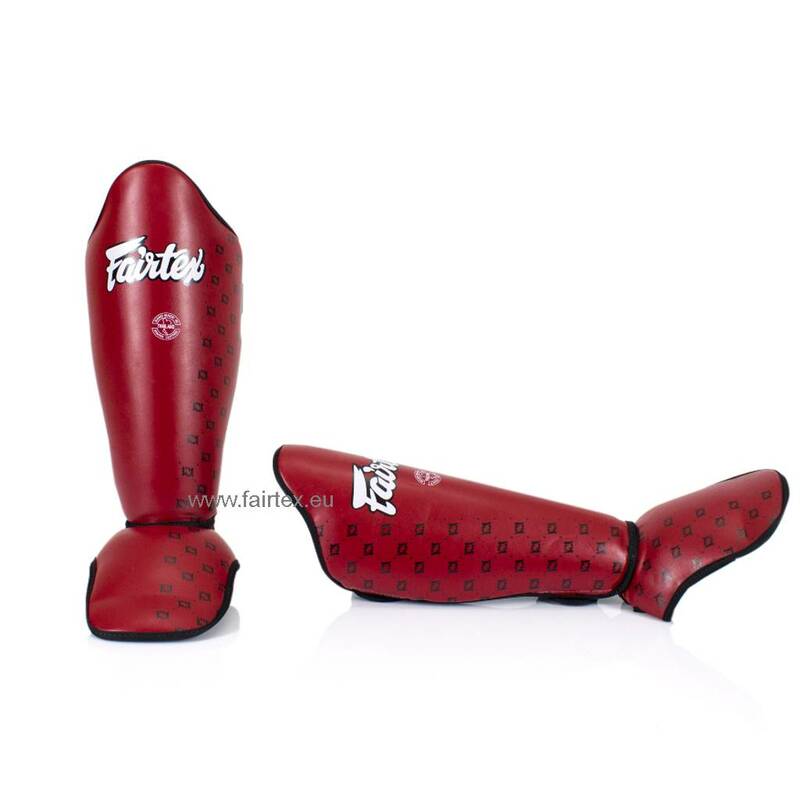 Designed to attach to your shin as much as possible for a natural feeling with extended side and top protection. 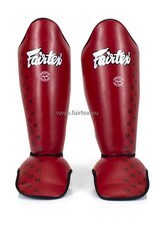 Double “F” silk screen to differentiate left and right side makes them easier to put on. 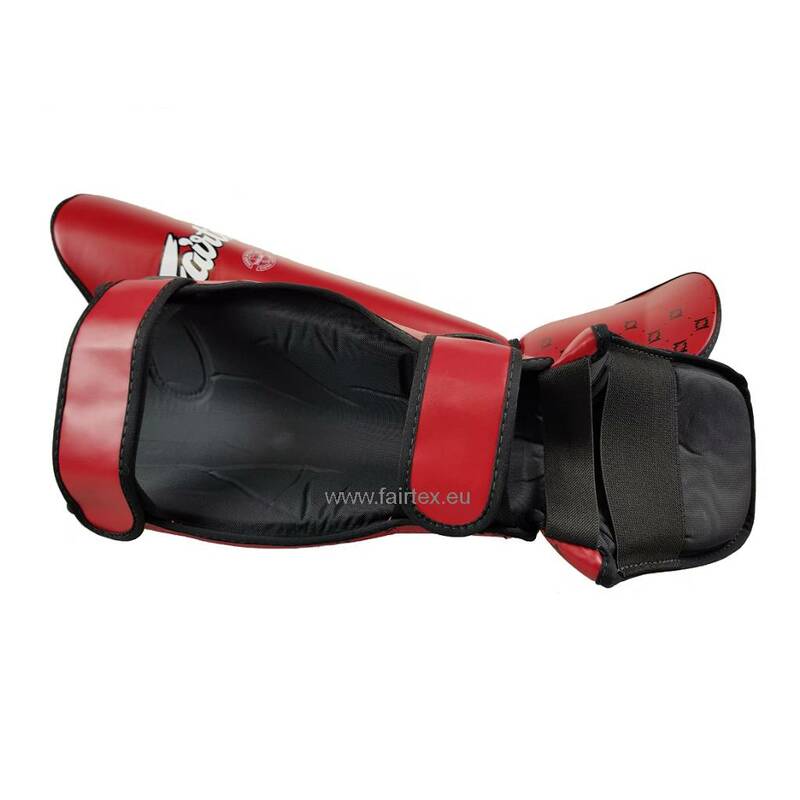 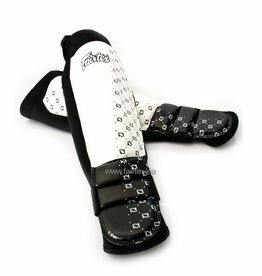 These shin pads do not contain metal loops and are therefore permitted by major event organisers to be used in amateur competitions. 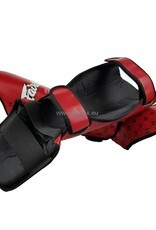 * Measured from the top of the foot to the knee cap. 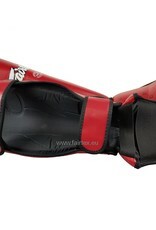 ** Circumference of the thickest section. 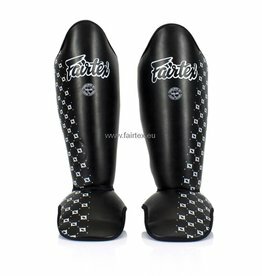 Fairtex SP6 neoprene shin pads. 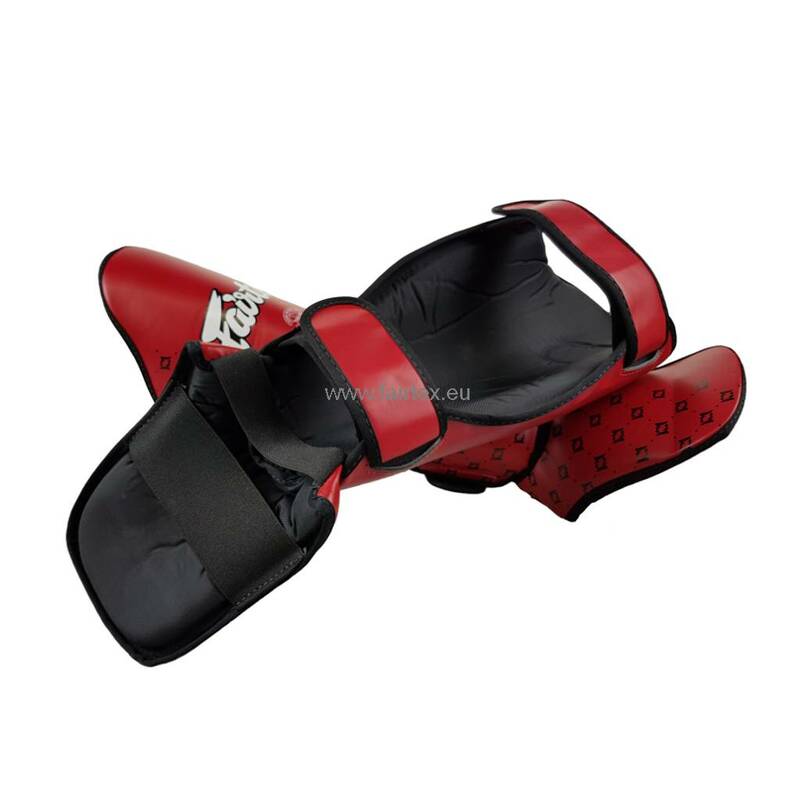 Very flexible and attach to the shins very well. 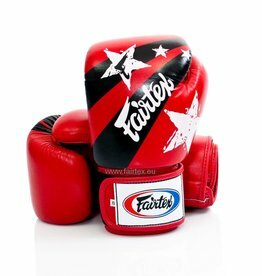 Favoured by MMA fighters for use during training.